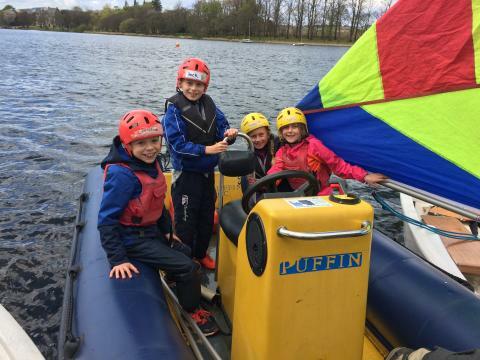 Yesterday I went sailing at Outdoor Education for the first time ever! I could barely sleep on Monday and I was feeling really excited! 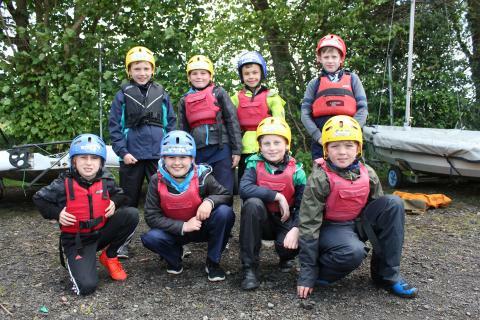 The strategy we were taught was to tie an eight knot. 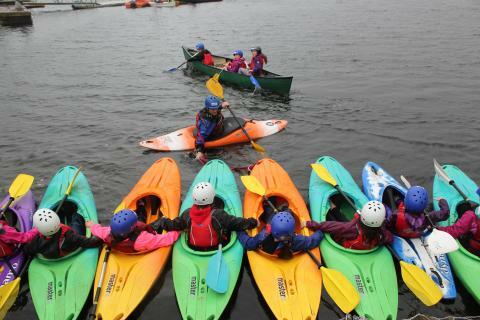 Luckily none of the sailors fell in but when we did a paddle race my hand got a little wet. I really want to jump in next time. 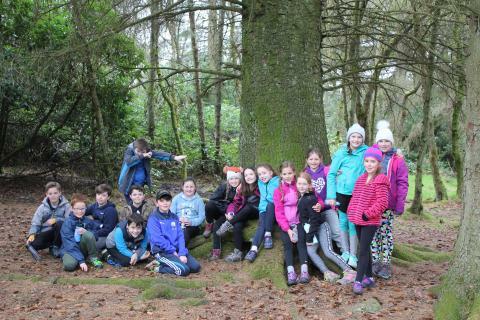 First of all we pretended to be Victorian explorers and renamed trees and plants, then we went to Pheasants Wood to do lots of things like self portraits, blindfolded tree finding and a lichen study. We also found our own special place to listen to the birds. I learned how to sail on the water and how to turn away from other boats. 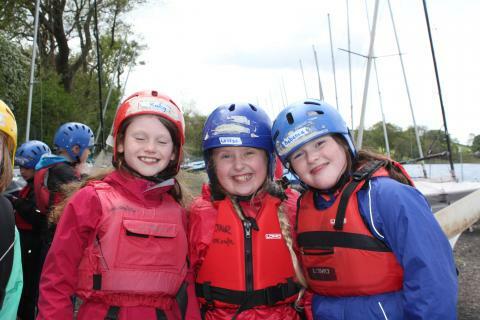 My favourite moment was when I was in the boat with Chloe and Kerry and Chloe fell into the cold, freezing water! I learned how to go in a straight line. 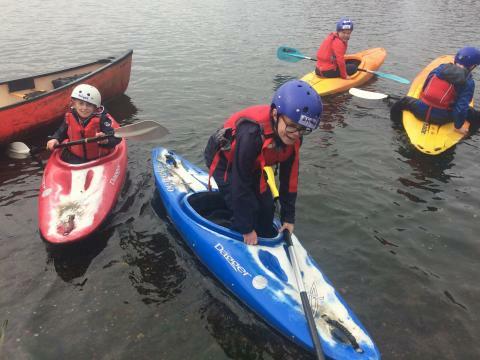 I also learned how to get into a kayak (getting in is a squash). 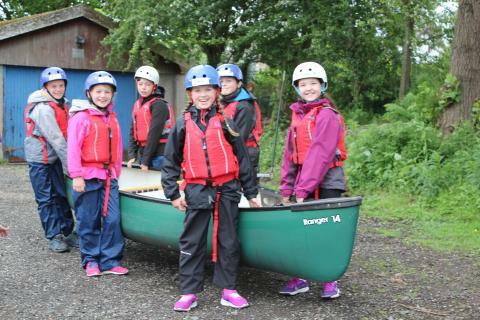 In outdoor education we went pond dipping and at first all we found was green slime and leaves until…. WE FOUND THE FIRST FISH! We named it Gill. 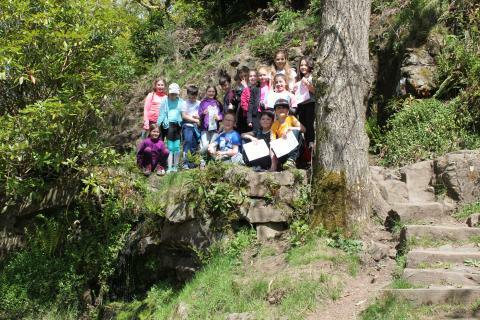 Yesterday I went to the top of a cliff to find an orienteering point. It was hard work to get to the top but we got an amazing view. I learned how to read a map better and how to find a safe place to climb. Dear diary, I had a great day yesterday. 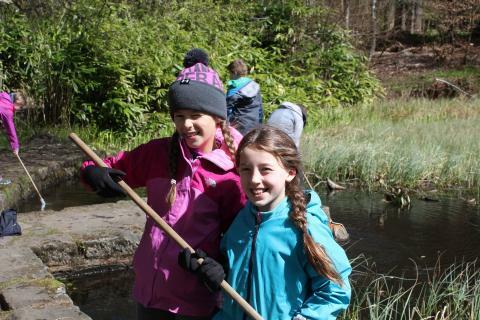 I loved the pond dipping. My favourite moment was when Mr Connor and Mr Macdonald wanted under my umbrella to stay dry. In the first week we learnt how to pace and read maps and today we used our skills to find certain points. Yesterday was my last day at Bardowie Loch. 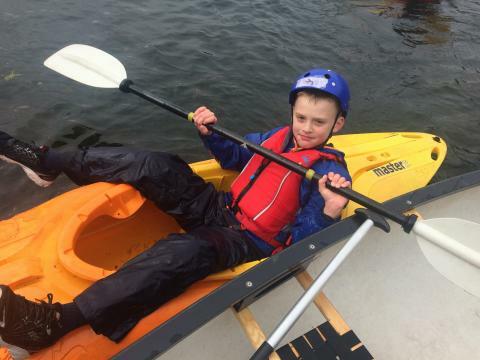 I did canoeing with Jack and Naomi. I was in the front with Jack in the middle and Naomi in the back. We did a bravery test and I almost FELL IN! Then we had a race and my group got caught in the rocks. After lunch we had to go inside, I didn’t mind but everybody else was annoyed. 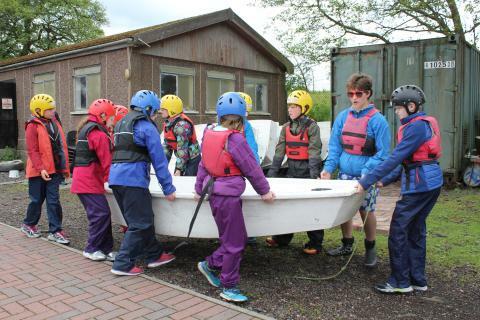 My favourite moment was playing airbag, my made up name for the game where you get the air bag into the kayak! My favourite moment was when I got an ice cream and when it was raining (I like playing in the rain!). 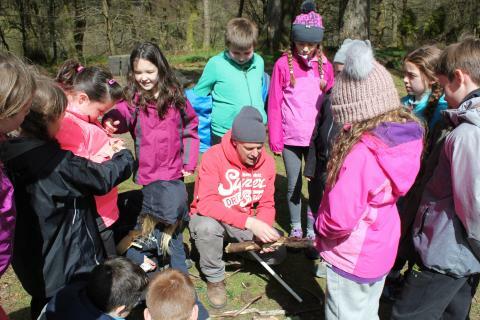 Yesterday I went to outdoor science at Mugdock Park. It was very fun and interesting when we got into pairs, I went with Jim and when we were being Victorian explorers we named a tree stump Titanic. I made a list of 8 things we found and then we would give it to another group for them to find. Me and Carys were lucky to find sap. We then gave ours to Ewan and Megan. They found everything very quickly, with a warm and hot game, of course. 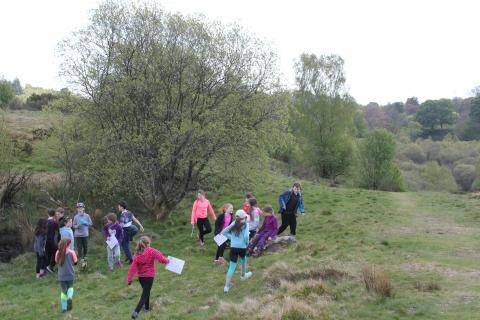 After that we moved to a different woodland, tree area to play a game called sounds map. We had to be completly silent, which surprisingly we did well at and draw a map completely by what you hear we then confered our maps and discuss what we learned. My favourite moment was when me and Faye (who was my partner) got to guide everyone to the next post and me and Faye got it exactly and Jerry looked as if he saw a unicorn. And also when we went to the park I went down the slide backwards with Jamie.